Demetreous always radiates optimism for life because he fully enjoys learning, teaching and embracing the challenges necessary to attain a goal. 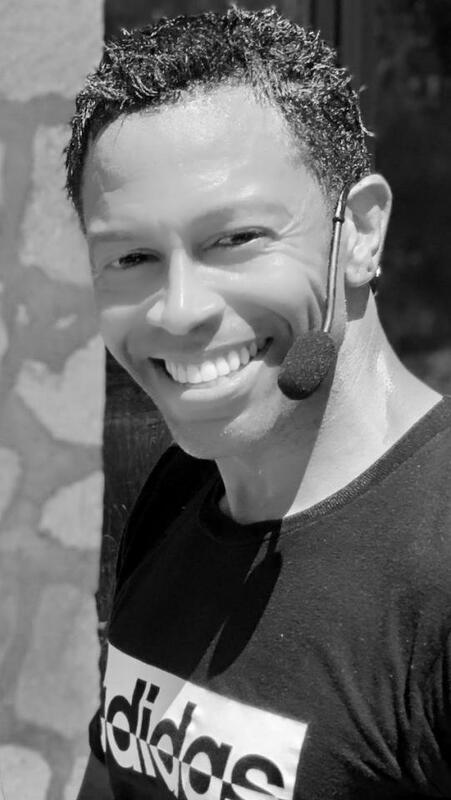 A passionate and skillful industry leader, Demetreous consistently develops and delivers innovative and memorable user-friendly training programs for people of all ages and fitness levels. He has developed programs for Les Ottomans resort Istanbul, Turkey, the St. Regis, GRIPBELL and Five Starr Pilates. Demetreous is an adjunct faculty professor in southern California teaching health science, physical education and business communications. He successfully completed a project lecturer teaching assignment at San Francisco State University in the Health Education department delivering a lecture series titled "The Positive Impact of Exercise on Stress Reduction.” Demetreous graduated from CSU Sacramento with a BA in History with an emphasis in International Relations. He went on to obtain a Master's degree in Health Care Administration from CSU East Bay. Demetreous began his training by completing the Cooper Institute’s Physical Fitness Specialist certification. He went on to become Pilates educated by the Body Arts and Sciences International and Balanced Body University. Demetreous is a veteran IDEA World presenter and a Livestrong.com fitness expert. Additionally, Demetreous is an accomplished performer who has danced for the Frankfurt Urban Dance Theater, MTV Europe, Memphis Soul and appeared as a guest host on Germany's “Fit und Fun” television show.